I have been having serious pumpkin issues. The most popular squash in London supermarkets (at least those near me) is butternut. I do love me some butternut squash, but it does have a rather insipid flavour. 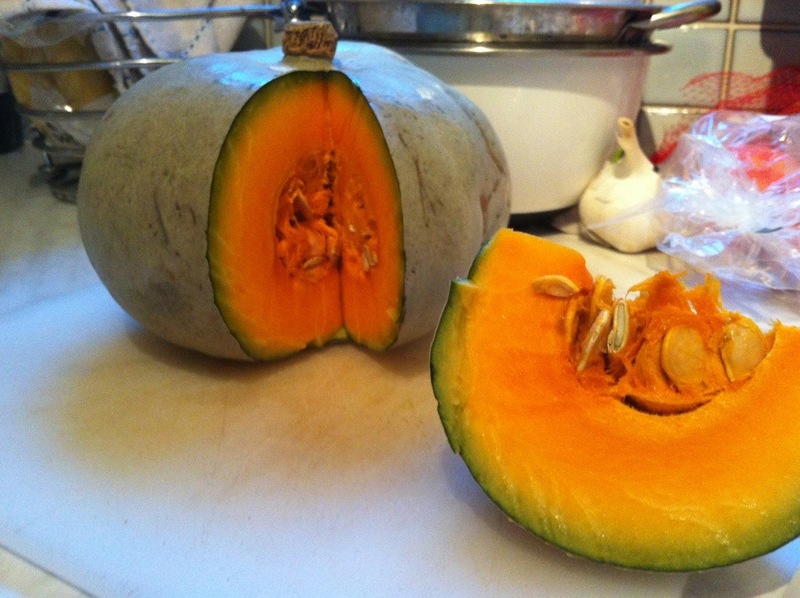 In New Zealand the most commonly sold pumpkin is the Crown Prince pumpkin (sometimes called the Grey pumpkin). It has a creamy texture when roasted and a seriously rich flavour. It is what I have grown up with, and what I desire in a pumpkin. With the Crown Prince pumpkin you can have it centre stage – the taste is bold enough. Whereas butternut squash is destined to only ever land ‘best friend’ roles, fantastic in a curry but not hearty enough to just eat by itself. Once again Borough Market steps in to solve this Kiwi’s problems. There are always at least three vegetable sellers there – and one is bound to have the Kiwi pumpkin. 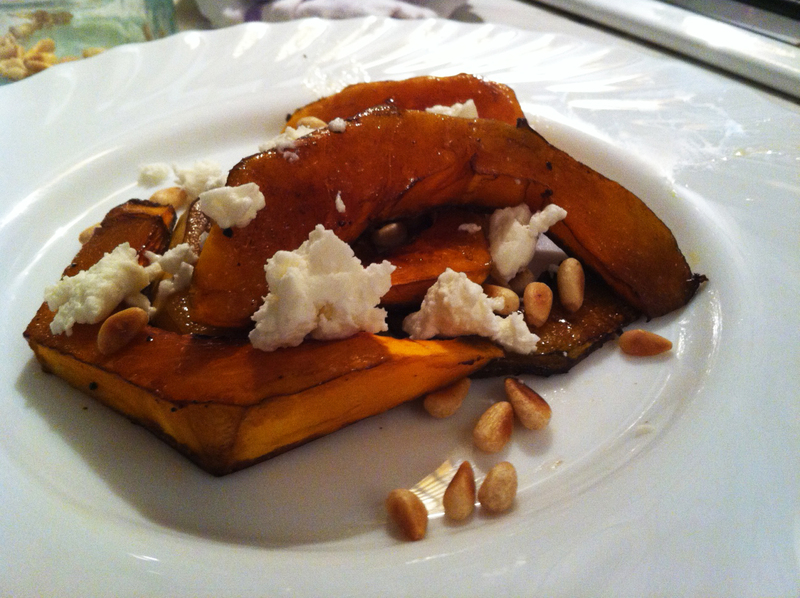 I raced home and roasted it in balsamic vinegar and olive oil, then made a winter salad with roasted pinenuts and goats cheese – yum.